One night, Maks runs into some trouble on his way home from work. Trouble by the name of Bruno and the Plug Ugly Gang. Maks is sure he’s dead meat…until a dirty, homeless girl with a big stick saves him. This girl, Willa, has lived in the streets for months, and Maks figures the least he can do is give her a place to stay for coming to his rescue. So Maks takes Willa home to stay with his family. Maks’ family, immigrants from Denmark, lives in a tenement, nearly ten people crammed into one small apartment, but it’s home, and they’re all together…until Maks’ older sister Emma is arrested! Maks is sure that Emma must be innocent. There’s simply no way she could have stolen a watch from someone at the new, fancy Waldorf hotel where she works. Maks’ parents are unfamiliar with the way things really work in America, so it’s up to Maks–and his new friend Willa–to figure out just what happened with Emma and the case of the stolen watch. All the while, Maks and Willa have to watch out for the scary Bruno and this gang, just waiting to terrorize them and take their meager earnings. Can these two kids save their own necks while trying to get Maks’ sister out of jail? And is anyone willing to help two poor kids–who have no money–without expecting something in return? What will these two junior detectives discover in their quest for the truth? The answers will shock even them and will have the power to turn their worlds upside down. 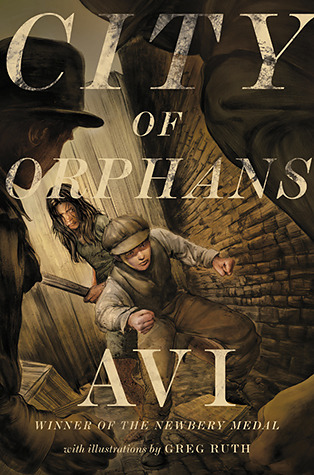 Learn how two kids navigate the perilous waters of turn-of-the-century New York when you read City of Orphans by Avi! 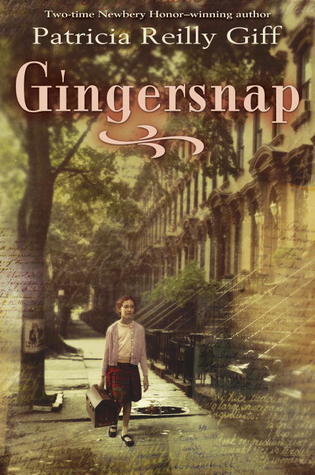 This book is nominated for the 2013-14 South Carolina Children’s and Junior Book Awards. Although Wonderstruck is over 600 pages long, it took me less than two days to read it. (Of course, it helps that over half of the pages were pictures.) Wonderstruck brings together two seemingly independent stories–one told in words and the other in illustrations–that take readers on an emotional journey that will leave them…well…wonderstruck! Ben, a boy living in Minnesota in the 1970s, and Rose, a girl living in New Jersey in the 1920s, are searching for the same thing–a place to belong. Both of them long for the parents that seem (and often really are) out of their reach. As both young people go on a quest to find their places in the world, their stories intertwine, and both of them end up in a museum at the heart of New York City. What connection does this museum have to Ben and Rose? And can it help them to find the sense of belonging that they’ve always wanted? Read Wonderstruck by Brian Selznick and join Ben and Rose as they discover the truth about their pasts and the connections that will lead them into the future. Wonderstruck is an absolutely beautiful story that will resonate with readers from ages 10 to 100. The symmetry with which Brian Selznick wove the two seemingly independent tales of Ben and Rose is truly remarkable, and the similarities between the characters will appeal to many, as will the connections that bridges the gap between the fifty years that separate them. The pencil drawings in Wonderstruck, like all of the illustrations I’ve seen by Brian Selznick, are gorgeous. It’s amazing to me–an admitted non-artist–how someone can convey a character’s emotions simply by drawing their eyes. No words were needed. I knew exactly what the character was feeling, and I experienced those emotions as well. Brian Selznick proves that his pictures truly are worth a thousand words. If you’re looking for your next great read, I highly recommend Wonderstruck. You won’t be disappointed. 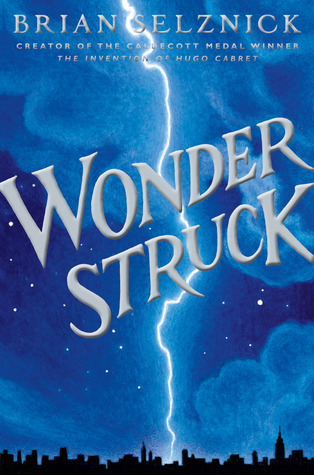 For more information on Wonderstruck and author Brian Selznick, visit http://www.wonderstruckthebook.com/. Slob by Ellen Potter was an easy, quick read that would be perfect for readers from upper elementary through high school. Adults will enjoy it, too. I would especially recommend this book to kids who may be seen as outsiders, particularly those students who are often the victims of bullies. They will really relate to the struggles of the main character. 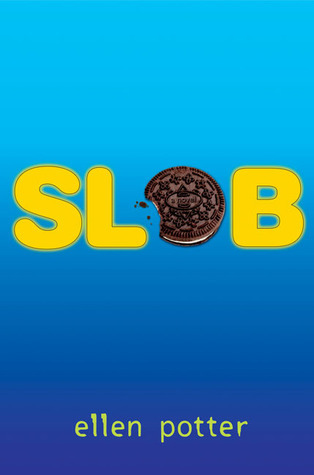 In Slob, we meet Owen Birnbaum, a twelve-year-old genius who happens to be the fattest kid at his school. (I can totally relate…except I’m not twelve or a boy.) Everyday is torture. Even his gym teacher seems to enjoy tormenting him. (I can relate to this, too. I still shudder when I think about my middle school gym teacher.) As if things weren’t already bad enough, someone keeps stealing his Oreo cookies, and the new kid, believed to be a complete psychopath, seems to be out to get Owen. But Owen has even more to deal with that simply being bullied at school. He’s working on an invention that will change the world and, perhaps more importantly, Owen’s life. If it works, it will allow him to see something that happened two years ago, something that set Owen on his current course. If Owen can just get the machine, lovingly named Nemesis, to work, he knows things will be better. Sure, he’ll still be the fat kids who’s always picked on, but he’ll at least have the answers that have been plaguing him for two years. As Owen grows more and more frustrated with his machine and the torture of being laughed at everyday, he must decide if he’s going to live in the past or deal with the present. Only one path can make his life different. Which one will it be? Read Slob by Ellen Potter to find out! I hope you enjoy Slob as much as I did, and if you’d like more information about this book and author Ellen Potter, visit http://www.ellenpotter.com/.